Thanks for posting this. I had this exact issue with a Canon copier and your fix worked perfectly. Worked like a CHAMP!! Thank you for this post!! 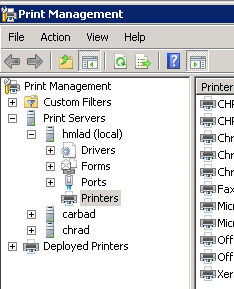 Wow there must have been an update that turned this on because it affected 20 of my printers. Thanks for the info! I have got this problem from time to time after power losses or similar, the last couple of years. The only solution before was to restart the Windows 2008 server, with all the problem that gives to a company with a lots of clients logged in. With this trick the problem was solved in a second! Many thanks! I had this exact problem and this solution is a life saver. Thankxx alot. Spend almost 2 hours on this. worked for me too but why is it happenning. Thanks for the suggestion. Two years later and it’s helped me out with this really obscure problem. This post has been a lifesaver! Dang! This post totally saved me…thanks! Thank you very much, you’ve been very helpful! Perfect!! help me a lot!! To the point. Many thank$. Adobe Installer VS. IE VB Developing kids!